This year is the first year that I’ve grown a garden without the help of my dad. I decided to start a garden in Los Angeles for a couple of different reasons and have been surprised with the added benefits. 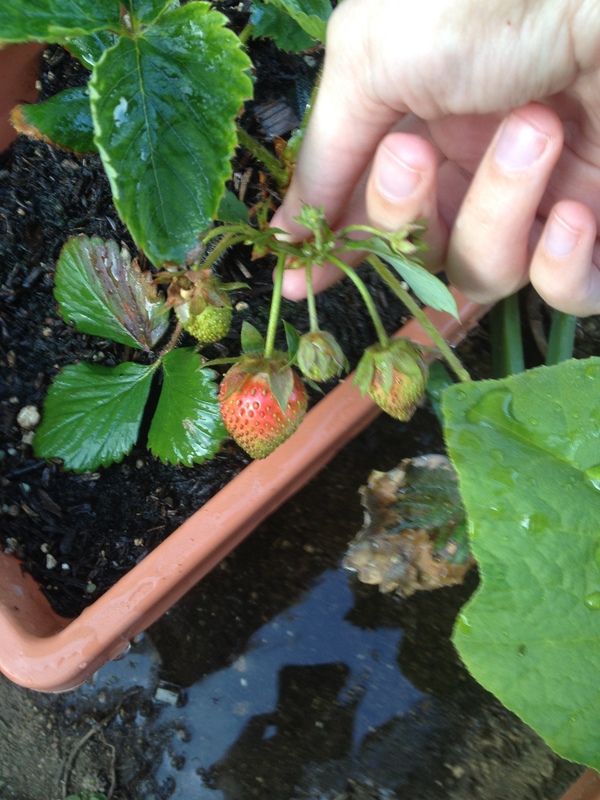 I started the garden for the obvious– to have home grown produce. I also started the garden because I wanted an excuse to be outside in the beautiful Southern California weather. Watering my garden guarantees me twenty minutes a day without screen time. I can take a deep breath and relax while taking care of the plants. As much as I love technology, and I did some Google searches for gardening tips such as keeping the snails away (copper tape and coffee does the trick), I do enjoy the break of shutting off the computer and playing in the dirt. I’ve also enjoyed getting back to my roots (pun attended). I grew up in rural Central New York and as much as I love living in a city, I miss the country serenity. Having a garden gives me “zen time” to think about where I came from. Another benefit of gardening is that it has made me a more sociable neighbor. I live in a small apartment community. My garden is in the shared common area, which means when I’m tending my garden, I have the opportunity to speak to my neighbors as they come and go. It reminds me of the poem Mending the Wall by Robert Frost. The line “good fences make good neighbors” sticks out in my mind. This line can be interpreted as follows- having a fence between properties forces the two neighbors to walk the fence together annually in order to repair any damages. Without a fence, the two neighbors would not have an excuse to speak to each other. Similarly, if I wasn’t out in my garden every evening, I wouldn’t necessarily have the opportunity to catch up with my neighbors. I’m really enjoying the sunshine, relaxation, and socialization that my garden gives me… I also can’t wait until I can be eating my vegetables! Posted on May 18, 2014, in Tausend Talks Shop. Bookmark the permalink. 1 Comment. It is always nice to be with nature and take the time to cool of digital life.